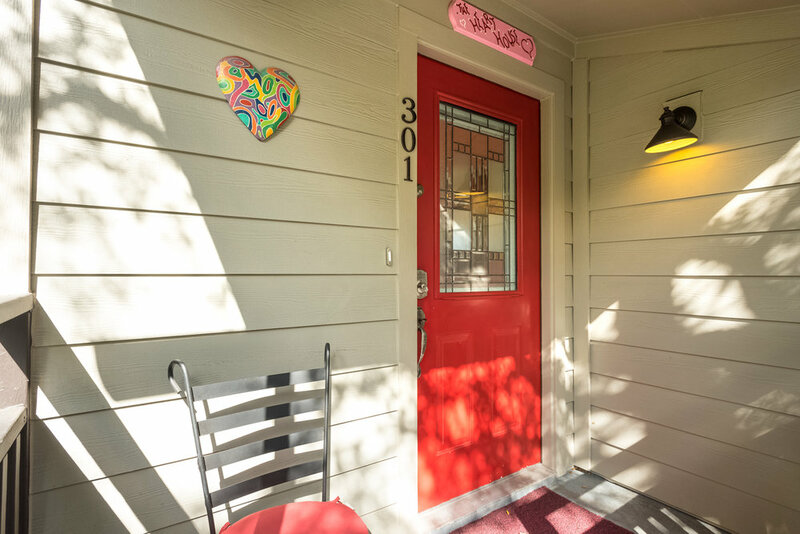 Welcome to The Heart House! Hearts just make people smile. 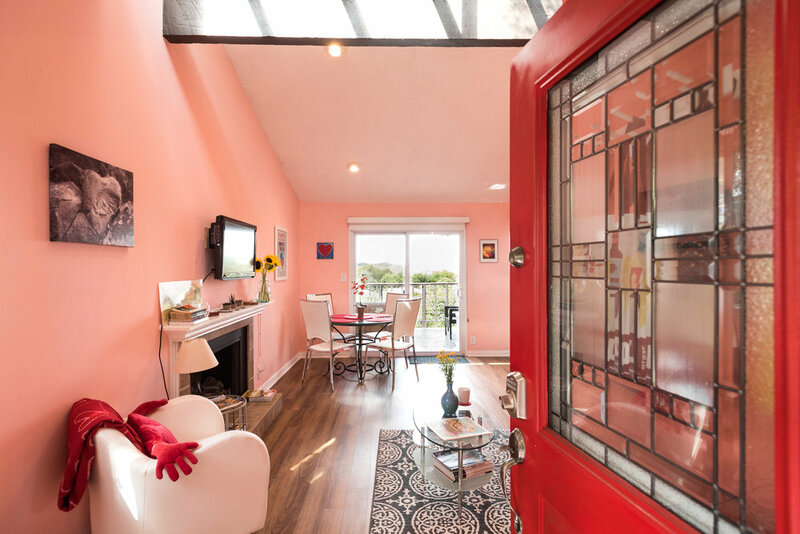 The Heart House will certainly make you smile! 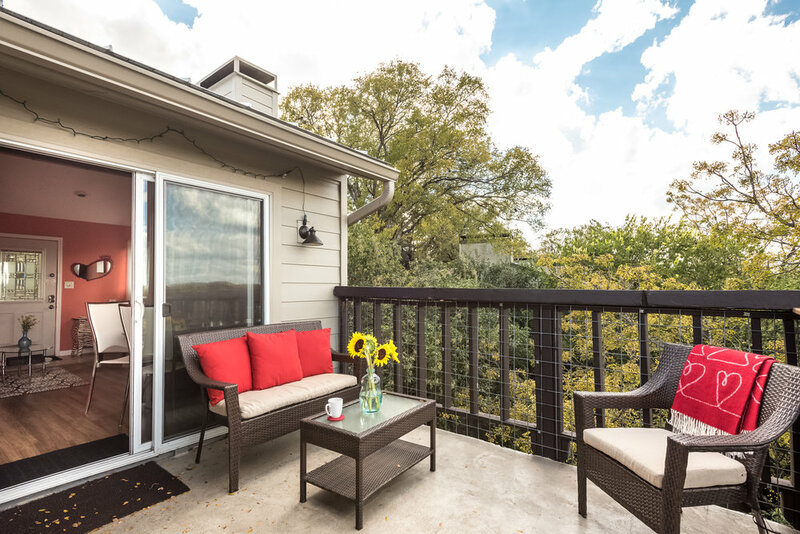 You will sleep soundly on the recently upgraded memory foam king mattress and certainly enjoy the 3rd story view from the floor to ceiling windows in the bedroom, perhaps lounging on the chaise in the corner. The living room features a vaulted ceiling with clerestory windows which provide wonderful natural lighting. There is also a queen sleeper sofa in case you need extra room. Just through the sliding glass doors awaits the balcony with view, which is always a popular hangout spot for your morning coffee or a late night cocktail. 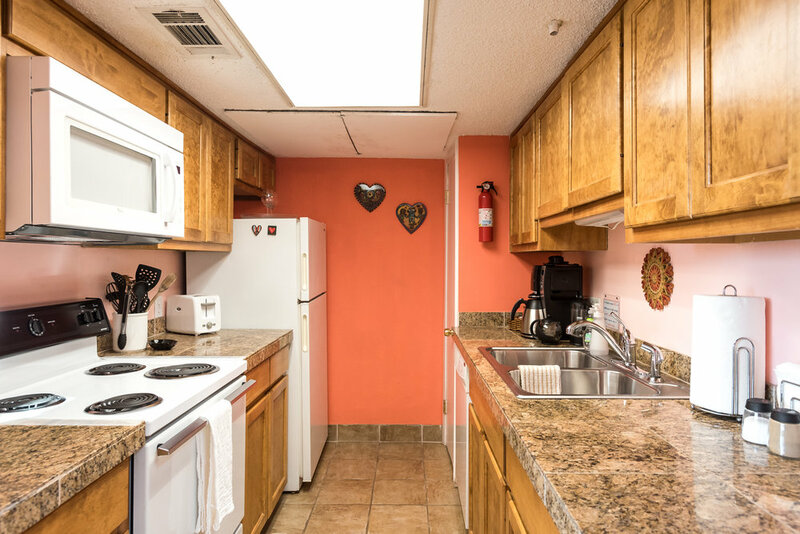 The Heart House has a fully furnished kitchen that is equipped with all the dishes, utensils, pots, pans and appliances you’ll need to cook in if you so choose. 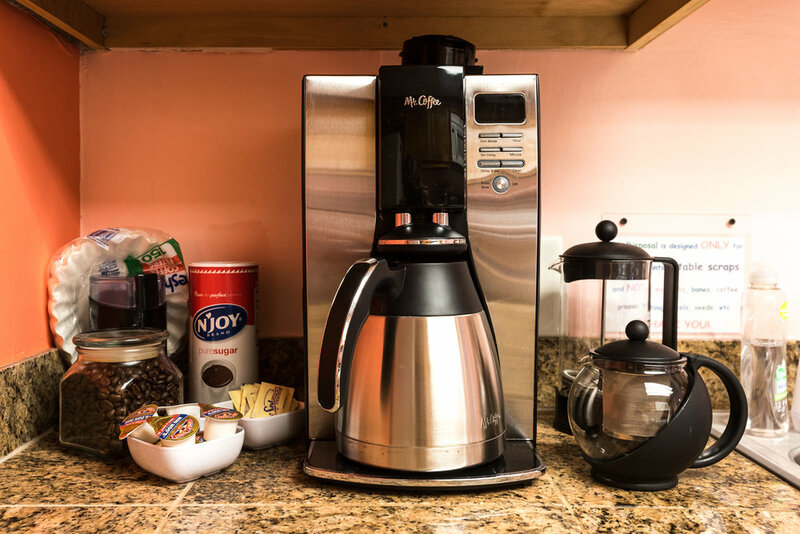 This includes a blender, toaster, coffee makers, ice trays, water boiler, microwave, oven, dishwasher, and refrigerator. We offer a basket with organic local Ruta Maya coffee beans, a variety of teas, 1/2 & 1/2, sugar and Splenda. Additionally, We have a grill just outside the front door. 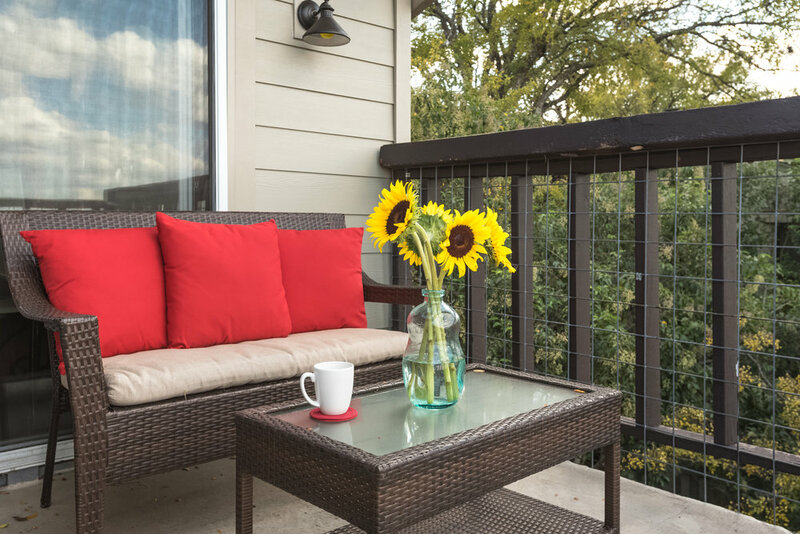 We also stock all of our units with 4 sets of towels, including beach towels to take to Barton Springs Pool. Ask for beach mats, pool noodles and/or camp chairs to take to the pool or park. IN addition, there is a free laundry room downstairs for your use. Addtional linens available upon request.